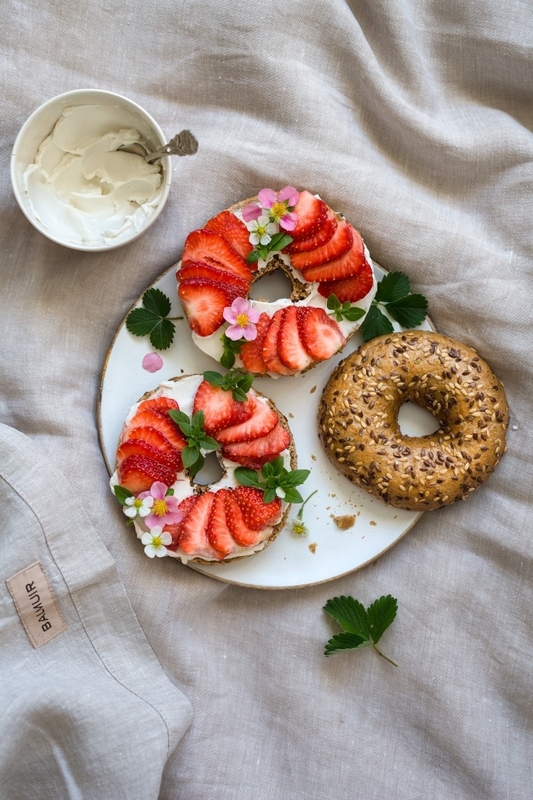 What could be better than slow mornings in bed, enjoying healthy treats? Balmuir is featured in the new e-book In Bed with Vanelja, written by the author of Vanelja blog, Virpi Mikkonen. The book includes 15 delicious, plant-based, gluten free and naturally sweetened recipes. Mikkonen told Balmuir the story behind her blog and book. When and how did you become interested in cooking and baking? Tell us how it all began. I only got interested in cooking and baking almost ten years ago as I made a so called lifestyle change. At that time, I left gluten, dairy, white sugar and heavily processed foods out of my diet for health reasons and moved to a versatile diet consisting mostly of plants. At the time, gluten and sugar free diets weren't as popular and the supply in stores and restaurants was weak, so I had to cook all my food myself. As my health improved rapidly, I got so inspired by the healthy treats that I started my old Finnish blog, Kiitos hyvää, where I shared recipes and other information on health and well-being. People quickly found my blog and felt the message was interesting. The time was right for this kind of content. In 2014 I decided to quit my Finnish blog and write a book as a tribute to it. I started my own business and an English website and an Instagram page, both called Vanelja. They both quickly gained international attention. During my first three years as an entrepreneur I published four books in Finland, two of which were published in America, one in six different countries. It has been amazing to see natural food, gluten and dairy free, vegetable rich diets and natural sweetening become major food trends both in Finland and around the world. Have you always been in the industry or has creating delicious and beautiful things been a passionate hobby for you? My background is in journalism and before my current career I worked as a journalist and a producer in a fashion magazine. I have always been a visualist, but only through Vanelja did I start working with it more by styling and photographing food. When planning recipes, early on I often think about what the dish will look like and what colours will be in it. A visual approach is a natural way for me to create new things. Different colour combinations and textures strongly inspire me. Were healthy ingredients the foundation of your recipes from the beginning or did they come along gradually? Healthy ingredients have always been the foundation in my work. It is inspiring for me to develop foods that combine health and taste and ethics and ease. In my experience and according to the thousands of feedback I've recieved, these kind of recipes are something that the world needs. At the moment the the recipes I share do not contain animal products. I'm not trying to convert anyone into being 100% vegan though, I'm not a vegan myself either. I eat ethically produced animal products a couple of times a week. There is no single diet that suits everyone, everywhere, all times. The most important thing is to listen to yourself and stick to a diet that is as good as possible for you and the world. The content you produce is incredibly beautiful, how important is it to you that the food looks as a good as it tastes? Beautiful photos are my way of inviting people to try food that makes you feel good. I don't believe in preaching, imposing or converting people into anything, I believe in inspiring and subtle temptation. Visual things are a great way to do that. Taste is just as important of a factor in food of course, aswell as truly nourishing and supporting our well-being. Do you also enjoy interior design and investing in your own, personal style? I have always surrounded myself with things I find beautiful, whether it was clothes, home or the things I do. I'm also an indulger through and through, so the feeling of things and objects is really important. Soft and comforting materials in clothes and home textiles are definitely me. That is why collaborating with Balmuir in my new e-book, In Bed with Vanelja was so great. It is purely about indulging and treating yourself at home. What is your special skill and what makes you so good at creating recipes and content? I get excited easily and I love creating new things, conceptualising and outlining bigger eensembles. I don't like walking in other people's footsteps, since improving myself, trying new things and positive make me glow. A sharp visual eye and a good nose for people's needs is also a benefit. In the end, the most important thing is to do things straight from the heart. That way you can touch other people aswell. What will Vanelja grow to be? Will we someday be dining in your own restaurant or cooking with Design by Vanelja equipments? I often get asked about my own restaurant, but so far I have mainly helped other restaurants by menu planning and other things. For example, this summer I designed an "Instagram friendly" breakfast menu. My own product line is one of my dreams. 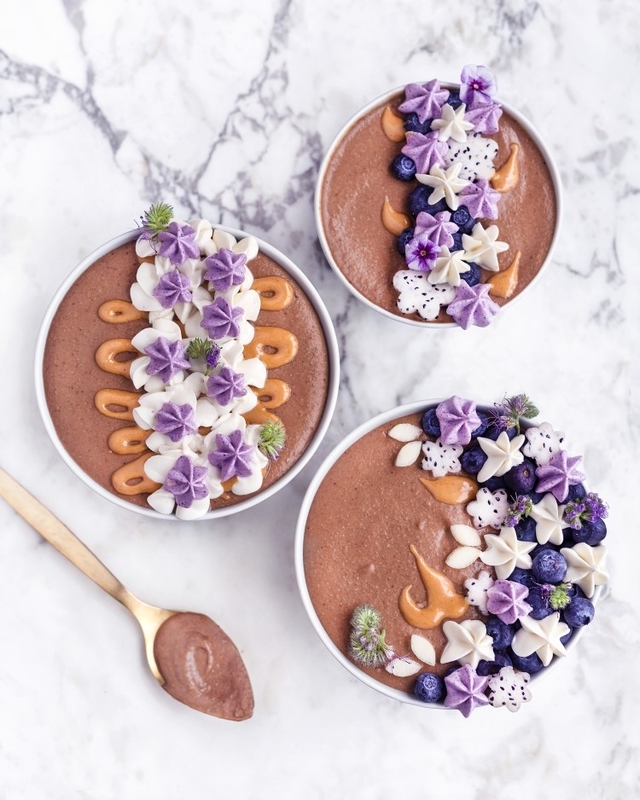 This summer I launced my own raw cake Blueberry Dream Cake by Vanelja, and through the process I found out how inspiring and rewarding it is to create your own products from start to finish. Download your copy of In Bed with Vanelja free of charge here.